Delaware and Illinois have become the first US states to enact legislation designed to strengthen science-centered education and training in clinical psychology and behavioral health. Delaware Governor Jack Markell on July 28 signed House Bill 358 into law, permitting graduates from training programs accredited by the Psychological Clinical Science Accreditation System (PCSAS) to qualify for a state professional license. And on August 1, Illinois Governor Pat Quinn signed a similar piece of legislation. PCSAS focuses on the quality and outcomes of scientific training of doctoral-level clinical psychologists. 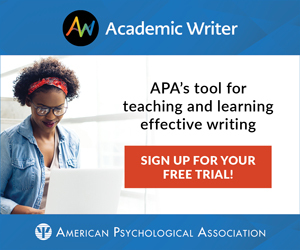 For years, the only accrediting body for clinical psychology training programs has been the Committee on Accreditation (CoA), which is governed by the American Psychological Association (APA). The new state laws give PCSAS the same accreditation standing as CoA, said APS Fellow Robert F. Simons, chair of the University of Delaware’s Department of Psychological and Brain Sciences and chair of the PCSAS committee that reviews applications for accreditation. The measure ensures that graduates from PCSAS-accredited programs will not require APA accreditation to obtain a state license in Illinois and Delaware. Delaware Governor Jack Markell signs House Bill 358 into law. From left to right behind the governor are: George Watson (Dean of Arts and Sciences), Mary Graham (PCSAS Attorney), Doug Doren (Associate Dean), Mary Dozier (Faculty), Stephanie Traynor (DPA President), Ryan Beveridge (Faculty), Rep. Michael Barbieri, Robert F. Simons, Julie Hubbard (Faculty), Ariel Williamson (Student), Tim Fowles (Faculty), Carly Yasinsky (Student). The objective of PCSAS is to promote science-based training and, by extension, to introduce a new culture of scientific clinical psychology. It emerged amid concerns that clinical training programs too often emphasize hours spent practicing older therapies and outdated techniques to the detriment of time spent both gaining a thorough knowledge of the latest empirically based clinical methods and providing the research training that will create new knowledge aimed at public health. Similar efforts aimed at giving parity to PCSAS accreditation are developing in Iowa, Missouri, and Arizona, among others. And PCSAS is in early communications with other organizations around such issues as internships and other aspects of recognition. PCSAS received widespread attention in a monograph, published as the November 2008 issue of Psychological Science in the Public Interest (PSPI), that outlined its research-oriented mission. But endorsement of PCSAS-accredited programs has swelled since the Council for Higher Education Accreditation (CHEA), the national nongovernmental gatekeeper of accrediting organizations, approved PCSAS as an accrediting body in 2012. The US Veterans Health Administration, at the urging of the House of Representatives, has regulations pending to permit the students in PCSAS-accredited programs to be eligible for VA internships and for PCSAS graduates to be employed within the VHA healthcare system. As a Pharm Tech, CNA, and enrolled student at DCI for MA, Plebotomy and ECG I am proud to be a Resident of this beautiful state! If more state and federal officials, Representatives, etc…care and be proactive as ours then this Country can move forward and begin to heal.